AMBER, the Science Foundation Ireland (SFI) funded materials science centre in Trinity College Dublin, today unveiled a new bone repair technology. This has led to an injured racehorse returning to winning ways after successful jaw reconstruction with regulatory approval for human use forecast in the coming months and implantation in patients suffering from large bone defects planned this year. The announcement was made at AMBER’s Industry Day, held to mark its first anniversary, which was officially opened by Minister for Skills, Research and Innovation Damien English and which brought together a number of AMBER’s industry partners. The patented bone repair technology was developed by a team of AMBER Researchers within the Tissue Engineering Research Group (TERG) in the Royal College of Surgeons in Ireland (RCSI) led by Professor Fergal O’Brien, Deputy Director of AMBER. It consists of collagen and hydroxyapatite, components native to bone, formed into a 3D porous ‘scaffold’ which acts as a bone graft substitute. 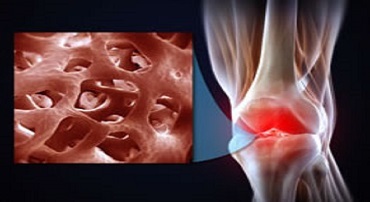 Bone cells and blood vessels ‘cling’ to the scaffold, allowing for new tissue regeneration. This bone repair technology (known as HydroxyColl) will be brought to market by RCSI spin out company, SurgaColl Technologies. The first clinical use of the HydroxyColl was on a 2 year old thoroughbred filly that had a large swelling in her jaw caused by a complex aneurysmal cyst. As a result of the cyst, the bone in the filly’s jaw was at risk of fracture and she was unable to chew adequately. The outcome is generally poor for aneurysmal cysts and euthanasia of the animal often necessary. The procedure was carried out by Dr. Florent David at University College Dublin’s Veterinary Hospital who removed the cyst and implanted sheets of the scaffold. The procedure has enabled repair of the bone tissue followed by restoration of normal bone shape and function. Since surgery, the horse (Annagh Haven) has returned to racing and has won or been placed in 6 of her races to date.